More of our ROMANCE favorites from featured author Barbara Baldwin. 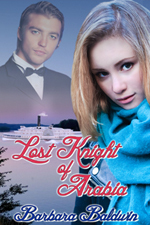 A wonderful time travel romance, full of suspense and adventure! While past and present travel parallel to each other, Mica and Logan are drawn into intrigue where mystery and treachery intertwine and threaten their lives and their love. Take two old prospectors who have turned into ghosts, one modern day writer/ photographer, and one handsome, if somewhat absent-minded mine owner and mix them up with an explosion gone awry in the Nevada mining town of Peavine. Add to that a time difference of over 145 years, and the chances for romance, mishaps and mayhem are as abundant as gold mines in Nevada. 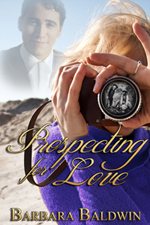 PROSPECTING FOR LOVE is a light-hearted read and at times hilarious as Zeke and Lucky attempt to keep Ellie in line while trying to discover what went wrong the first time in history so they can prevent it from happening again. Jaci Eastman believes only reality can be photographed. So how can she photograph a man who doesn’t exist in her time beside a carousel horse that doesn’t exist in his? 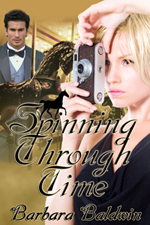 Jaci is inadvertently drawn through time to 1874 while photographing a restored carousel from that period, and lands at Nicholas Westbrooke's Wildwood horse farm. She’s outrageous in her dress, manners and language, and yet he finds her irresistible.